This is a photo from when I had just learnt to unicycle roughly six years ago. And yes, it’s raining. In one form or another, this is the most common question I receive. It’s asked by all kinds of people, including those who haven’t studied Chinese and assume that it must be impossible, those who are studying already and want to get a reality check of their future progression, and native speakers who want to know what it feels like learning their mother tongue. I think people who have learnt Chinese differ in their opinions of how hard it is because they mean different things when they say “hard”. I’ve read about this several times, but I’ve never seen a good terminology for it, so I’m going to call it “vertical difficulty” and “horizontal difficulty”. Vertical difficulty is what most people think of when they say that something is hard. It means that to advance, you need to improve your skill in a way which isn’t incremental and success isn’t necessarily guaranteed just because you try enough. For instance, I’ve tried indoor climbing a few times and even though I certainly meet the physical requirements, if I try a difficult route, I simply won’t succeed, even if I try a hundred times. This is where “vertical difficulty” comes from, you need to master new skills to advance and doing so is far from certain. It might depend on your method, instructor, ability in other areas, luck and much more. In any case, you need to change something you’re doing, not just doing more of the same. Horizontal difficulty is very different. It’s still difficult, of course, but it requires you to do the same thing over and over – for a long time. This is the kind of activity where trying enough is guaranteed to give you success sooner or later. If your goal is to walk a thousand kilometres, you’re not going to fail the task because a certain (literal) step along the way is too hard, you’re going to fail because there are too many steps. You failed to put one foot in front of the other and didn’t reach your goal. This is where “horizontal difficulty” comes from, it needs no specific new skills, but you need to persist for a long time to succeed. You need to do more of the same, in other words. Both these types of tasks are difficult, but they are difficult in completely different ways. I think most people would say that vertical difficulty is the scarier one, and they’d be right, psychologically, it’s harder to learn to unicycle than it is to walk a fifty kilometres. However, if the time it takes to accomplish something is what matters, I actually learnt to unicycle 100 metres several times faster than it would take to walk fifty kilometres. Naturally, there are probably no tasks that are perfectly vertical and there are no tasks that are perfectly horizontal either, it’s a spectrum. Most activities are also complex and consist of many different tasks, so it’s problematic to sum them up in just one word. For instance, walking a thousand kilometres isn’t something you can do just by putting one foot in front of the other, you need planning and you need to know what you’re doing. Similarly, all tasks with vertical difficulty also includes a lot of horizontal difficulty. Enough practice will get you very far, even if it doesn’t necessarily feel like that. Many learning methods and strategies strive to help you learn faster by adjusting the slope. This means avoiding the extremes, decreasing the angle of the difficult tasks and increasing the angle for the easy ones. For instance, if you want to climb a difficult course, your best bet is to learn the basics first and try easier courses and then gradually build your skill. Then you can try the harder ones. The opposite is less obvious, but still true in many cases. 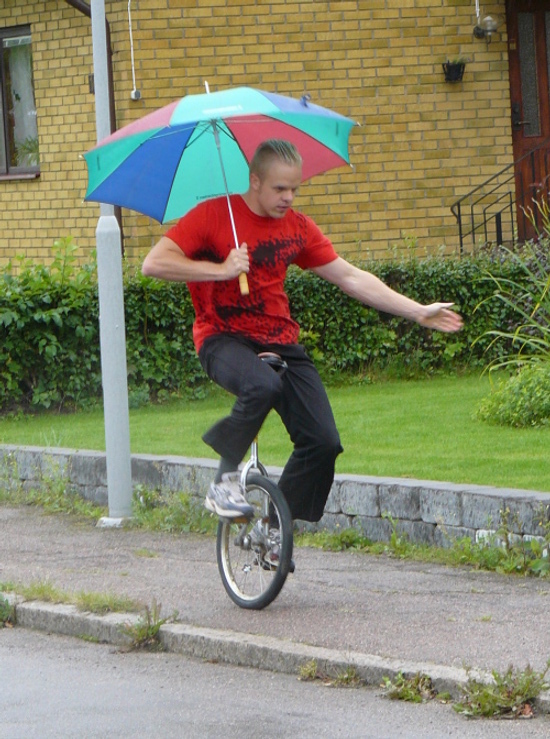 When I got past the beginner threshold for unicycling and could ride on normal roads until I got tired without falling, I found that I didn’t learn much by doing so. The difficulty was too horizontal. Then I tried riding forest tracks (which is really hard) and noticed incredible increases in my balance and control on ordinary roads as well. Increasing the slope helped me learn much faster. 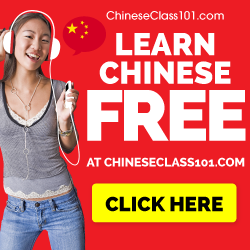 This website is about learning languages in general and Chinese in particular, so you might feel that it’s high time to turn to learning Chinese. I agree. Note that handwriting appears twice. I could in fact have added more tasks that qualify for both lists at different stages of learning. I would say most things are vertically difficult for beginners since everything is completely new. The more advanced you become, the more the difficulty slope flattens out. At a very advanced level, learning mainly consists of using the language as much as possible, including all four skills. This isn’t as demanding as it is for a beginner to do practise the same skills. 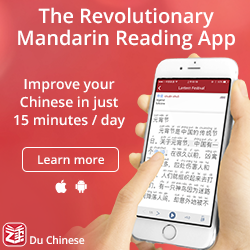 Are there any other Chinese-learning tasks that are clearly horizontal or vertical? Do you agree with my classification? Except for the beginner stages, I think language learning is mostly horizontal. The amount of time you invest is by far the most important factor and any normal person who tries enough will likely succeed. However, remember that a task that is horizontal is still difficult! Most people fail learning a language because they don’t persist or don’t spend enough time, they don’t fail because the grammar is too hard to understand or pronunciation too hard to learn. Naturally, there are many vertical elements as well. You can speak a foreign language for ten years and still have pronunciation errors, which is a clear sign that pronunciation has a vertical component. If you write a diary in Chinese by hand the rest of your life without anyone checking your writing, it will contain many errors even after a lifetime of practice. Some things require high quality practice, others not so much. Which method you use is important both for vertical and horizontal tasks, but the results are different. When you’re engaged in a vertical task, the method is everything. Failing to apply the proper method means that you won’t succeed. This is why some have bad pronunciation even after ten years, it’s not that they haven’t practised enough, it’s that they haven’t practised with the right method. Failing to apply the proper method for a horizontal task doesn’t mean that you will definitely fail, it just means that it will take longer to reach your goal. Vocabulary learning is a good example. Learning ten thousand words is definitely a horizontal task, but if you use the wrong methods to learn and remember vocabulary, it might take you several times longer than if you use the proper methods. The difficulty slope I have introduced in this article relates to many other concepts I’ve been talking about before. I often talk about quality and quantity, which are strongly related to vertical and horizontal respectively. If I tell you that you mostly need quantity to improve, it means you’re facing a horizontal task. If I say you should sit down and go through something carefully with a teacher, it’s probably vertical in nature; more practice won’t necessarily help. I’ve also said that you should leave your comfort zone if you want to learn as much as possible. This is related to what I said about unicycling in the forest above, you won’t learn much by doing something you think is very, very easy. If you can, increase the difficulty and you will notice big differences, even for the tasks you already though were easy before. Listening ability is a good example of this. By listening only to things you know (your teacher, your textbook), you won’t learn very fast, but if you spend enough time listening to things that are considerably more difficulty, you will have a harder time and spend more energy, but you will learn much faster. They are both difficult. You need different tactics to meet different challenges. Hacking Chinese is about overcoming both these kinds of difficulties, but the more I study and teach languages, the more I realise that it’s really the horizontal tasks that are the most difficult for the average student. It’s hard to take the next step when you know you have a thousand kilometres to walk. 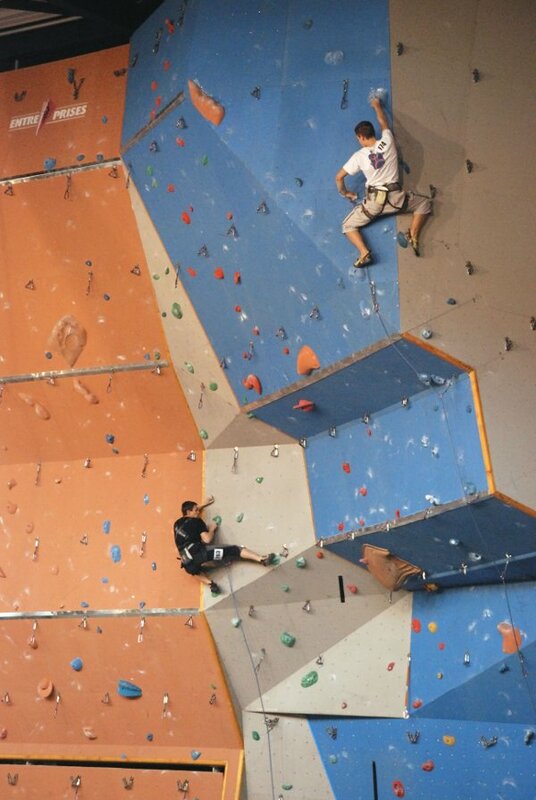 I find it much easier to concentrate on the next handhold and try to negotiate my way up a wall. Therefore, Chinese isn’t difficult in the way most people think, i.e. vertically difficult. The problem lies in spending enough time over many years to learn more characters, words and phrases. 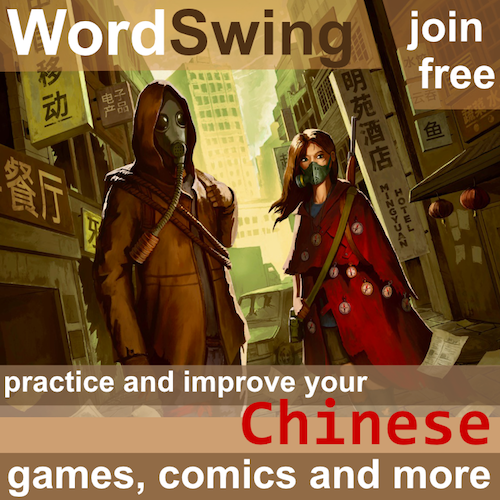 The difficulty lies in reading and listening enough, and in speaking and writing enough Chinese to hone active skills. 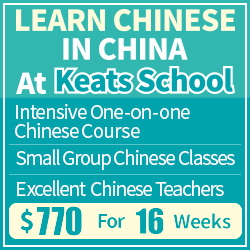 In this sense, learning Chinese is much more like a thousand mile journey than scaling a steep wall. I found your vertical/ horizontal distinction interesting, and I agree that the biggest problem with learning Chinese is the necessity of a long-term commitment, but it does seem as if you are trying your best not to say that learning Chinese is significantly harder for many Westerners than learning a language more closely related to one’s mother tongue. In all categories of language acquisition, Chinese offers substantial hurdles that do not exist for a learner of many other languages popular in the West. This starts with the absence of an alphabet, where an unfamiliar character offers only vague and unreliable pronunciation hints and ends with having to adapt to a tonal language full of homophones that must be distinguished by context. In the middle are the standard grammatical pitfalls and stumbling blocks that one always encounters when learning a foreign language. As a personal anecdote, I have spent 1/10th of the amount of time learning Dutch as I have spent learning Chinese, and already my Dutch is better than my Chinese in every aspect. I realize that it’s not good to focus too much on difficulties, but learning Chinese offers more than a handful. I think that, on the whole I agree with what you’ve said, Olle. To add to it, I also agree with the comment above about difference from the mother tongue. I often find myself embroiled in the ‘do you need to study/have lessons or can you just learn by talking to people’ argument and I think that, with certain language, an English speaker can do quite a lot by just practising. Take Spanish, for example. If I wanted to say ‘I am 3 years older than you’, in Spanish I can more or less use Spanish words in English order and I have a good chance of being correct, or at least perfectly comprehensible. With Chinese, it’s a very different story. That, I think, is the real difficulty with Chinese. Once one knows the sentence patterns/structures, then it’s a fairly easy language to put together (once, as you say, the learner has got over the pronunciation hurdles etc). If one never actually learns these structures properly and just makes it up from English, ones Chinese remains eye wateringly poor and one never improves. I’ve seen that happen time and time again with the ‘I don’t need to study/I haven’t time’ people and I’ve yet to meet someone who made a success of Chinese by failing to study!! It’s like any endeavour – you only get out what you put in. Chinese is so darn ‘horizontal’ that a beginning learner might do well to look hard at the opportunity cost involved in the endeavor! However, on the flip side, even just reaching an elementary level can offer some excellent rewards. I am a Chinese speaks mandarin(Chinese of normal accent). After reading your article, I come up an idea that you should teath a Chinese person such as me, to learn English rather than teaching Chinese to English native speakers. And maybe, in exchange, I can take your job to teach them Chinese. As you know, a native speaker get the vertical skills natively naturally advantageously than a foreign learner. Even an advanced of years of learning still get much closer to the origin, or they just use another way to get similar effect, but not the origin. The very reason is just because the vertical skill is too too abstract to be expressed literally for a foreign to get accurately in the learning process. After all it is mystery of nature, the vertical skill is like 任督六脉. A native baby or child breaks it through easiliy but not an advenced learner. After that, the rest is all about time consuming and blocks building as a native learns their owns to get literate. I like the article a lot. As a native Chinese guy born in a family without talents in languages, I had a very hard time in learning English at school. Only after 6 years of overseas study in England from 1998-2004, and with continuous learning after my return, I am now much more confident than before in handling this foreign language in public. Of course, mistakes are still many. By reading the author’s words, it rings bells in my head and reminds my own hard times. To be honest, English is as scary to Chinese, as Chinese is to non-native speakers. The article explains pretty well about the potential difficulties one may encounter in learning Chinese, in an objective manner. I may speak Chinese a bit more fluent than the author, but the latter is certainly much more capable of helping Westerners to learn Chinese than I am. So, for beginners, I suggest you trust what the article says, it surely has my endorsement.